For the ceremony, don’t forget to pick up a noisemaker and some themed sunglasses, creating an instant party in the bleachers! 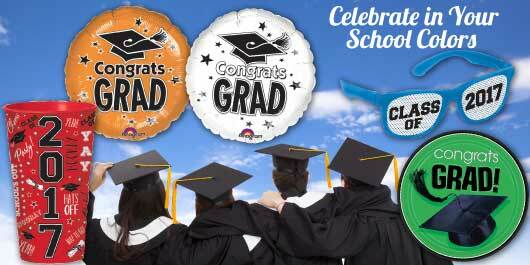 Commemorate the day with your school colors on all your party decorations including grad balloons, tableware, favors and more. 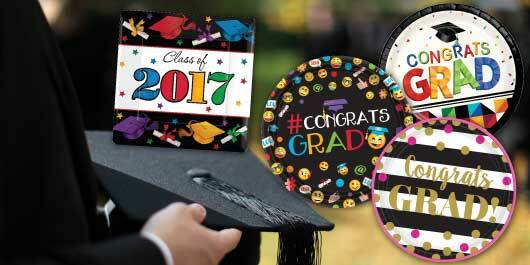 Whether it’s high school, college, or a special graduation, there’s never a wrong occasion for a “congrats, grad!” banner, guaranteed. Party America has everything you need to show your school spirit.